The Colt series were initialy developed for the Armed Forces, the Colt Quartz was the Original model behind the entire Colt range and it’s reputation for reliability, precision and funcitonality is very well known. 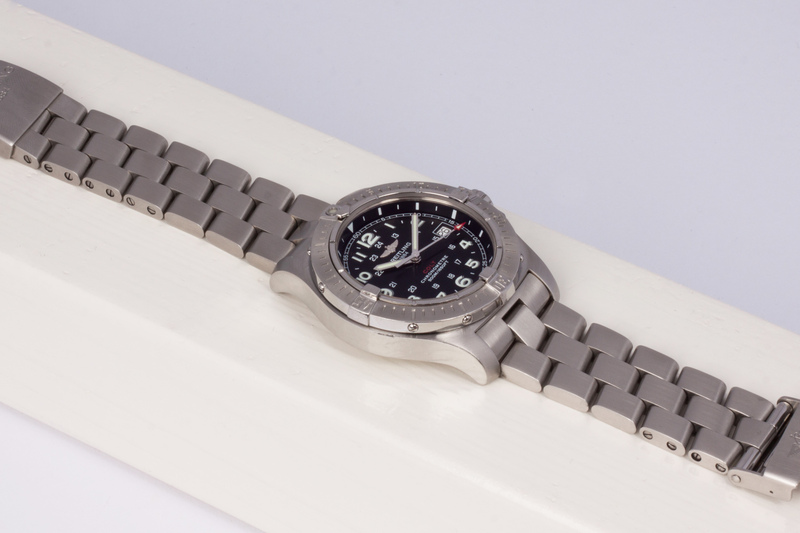 The watch has retained the essential characteristics from this military past, including it’s sturdy construction ensuring effective protection against shocks, or its water resistance, which is guaranteed to 500 meters! The Colt is equipped with a screw-locked crown and offers perfect readability thanks to the oversized hands and the Super Luminova. 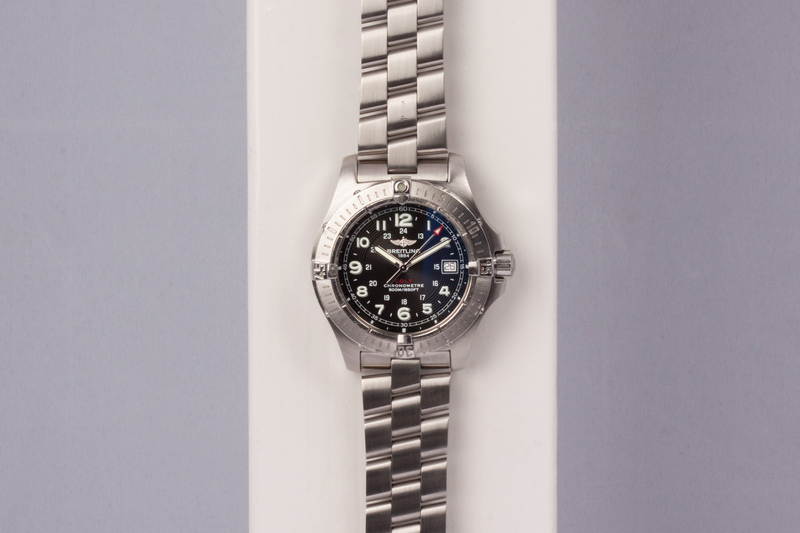 The dial itself with it’s 12 and 24 hour indication is also inspired by the Colt’s military past. 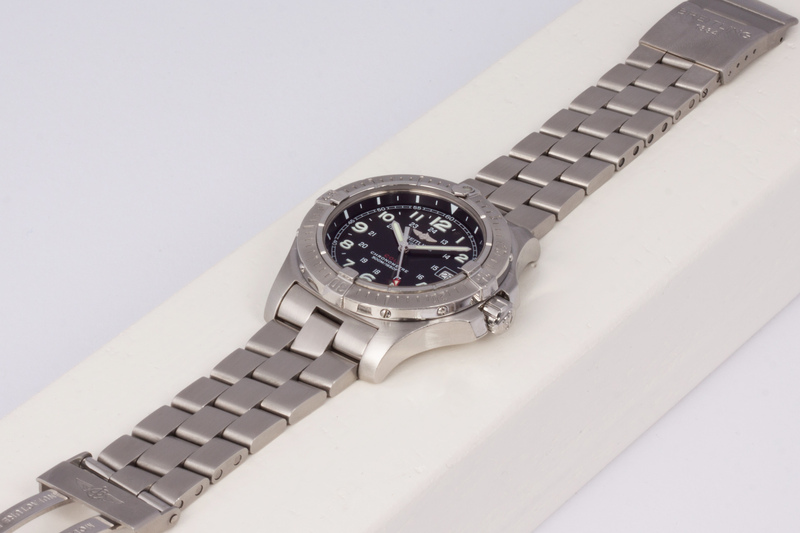 This Colt is in an ‘as new’ condition and is accompanied by Breitlings outer and inner boxes, a Breitling service pouch and all it’s original paperwork such as the manual, warranty booklets, Breitling Service Center papers, two spare links, Breitling hangtag, bezel-protector, COSC certificate, Breitling Club membership card etc. etc. The previous owner really took good care of his beloved watch! 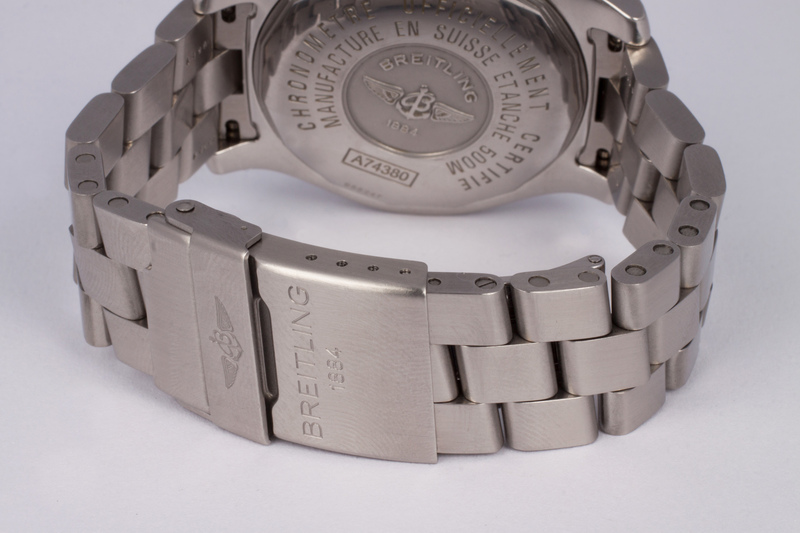 The High Precicsion Breitling Super Quarzt movement has been fully checked by our watchmaker and is fitted with a new and correct battery and has been pressure tested to 500 meters. The Colt is covered by our 12 month warranty.